Have you ever had a car accident before? If so, you might know a lot about a medical term called “whiplash.” Those of you fortunate enough to be accident-free motorists might not know a great deal on the subject. Whiplash is something that occurs if your car collides with other vehicles. The term describes a collective range of neck injuries. Those injuries can vary in intensity. The aim of today’s blog post is to educate all motorists about whiplash and the injuries associated with it. It also aims to show you how you can lessen the risk of getting affected by whiplash. 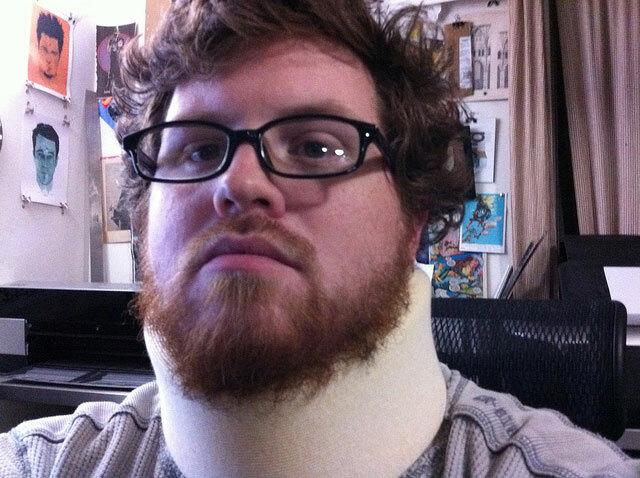 As mentioned a moment ago, whiplash is the collective term given to a range of neck injuries. For the most part, we use the term “whiplash” in connection with neck injuries sustained during an auto accident. Some people get whiplash when they go bungee jumping or if they fall from a great height. But today’s article will focus on whiplash associated with automotive collisions. Whiplash used to get called “railroad spine” because the injuries occurred during train collisions. In car accidents, whiplash occurs when the car you are travelling in gets driven into from behind. From a medical perspective, whiplash refers to sudden strain of bones, muscles and nerves in the neck. When whiplash occurs, the neck can become distorted. Many whiplash sufferers have a variety of symptoms. The most common ones include aches and pains in the neck and back. Pain can often get felt in arms, legs and shoulders in severe cases. Some people suffering from whiplash also have bad headaches. The trouble with whiplash is that the pain doesn’t always appear immediately after a collision. In some cases, sufferers might not have whiplash until several days after the accident. There isn’t a way to completely prevent the possibility of getting involved in an auto accident. But the good news is that there are plenty of things you can do to minimise the chances of suffering from whiplash! First, you should consider buying a car with an active head restraint system. Keith from motorlinedirect.co.uk recommends Mercedes-Benz cars with the NECK-PRO active head restraint system. In the event of a rear-end collision, the headrests move forward by forty millimeters and upward by 30 millimeters. The headrests can be reset to their original position with a special key, included with the headrests. Other car makers such as Jaguar, Toyota and Volvo offer similar solutions in some of their models. There are some other measures you can take to prevent auto accidents – and whiplash injuries. First, make sure that you brake early rather than slamming the brakes on! That will ensure the driver behind you doesn’t have to perform an emergency brake either! Second, anticipate the actions of other motorists. If you think they are going to pull out in front of you without warning, slow down. Finally, ensure that you are alert when you drive. That way, you can be sure that the decision you make will be quick.